A new study published in the Journal of Clinical Endocrinology & Metabolism suggests a link between an increased use of antibiotic prescriptions and type 2 diabetes risk. For the study, researchers used data from three national health registries in Denmark, recording the use of antibiotic prescriptions for 170,504 patients diagnosed with type 2 diabetes and 1.3 million patients not diagnosed with diabetes. Researchers observed that a greater number of antibiotic prescriptions were given to individuals with type 2 diabetes at a rate of 0.8 per year, compared to just 0.5 per year for those without type 2 diabetes. From this data, researchers extrapolated that for those patients who filled out more antibiotic prescriptions, there was an associated increased risk for type 2 diabetes. Results from the study also indicated that the strongest association between antibiotic use and type 2 diabetes came from narrow-spectrum antibiotics. This refers to antibiotics that target specific bacteria, such as penicillin V.
Study co-author Dr. Hallundbæk Mikkelsen and colleagues conclude that further research is needed in order to determine the reason behind this association between antibiotic use and type 2 diabetes. Diabetes affects an estimated 29.1 million Americans, with type 2 diabetes accounting for 90%–95% of all cases. Hallundbæk Mikkelsen, K., et al. “Use of Antibiotics and Risk of Type 2 Diabetes: A Population-Based Case-Control Study,” Journal of Clinical Endocrinology & Metabolism August 27, 2015, doi: http://dx.doi.org/10.1210/jc.2015-2696. 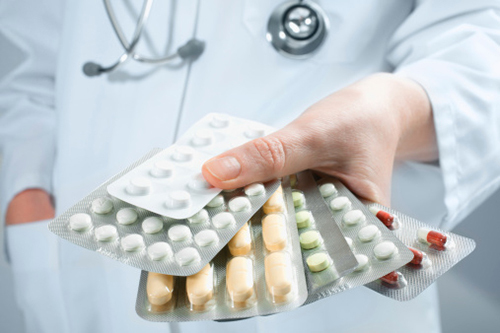 Whiteman, H., “Antibiotic use may raise risk of type 2 diabetes,” Medical News Today web site, August 28, 2015; http://www.medicalnewstoday.com/articles/298665.php.